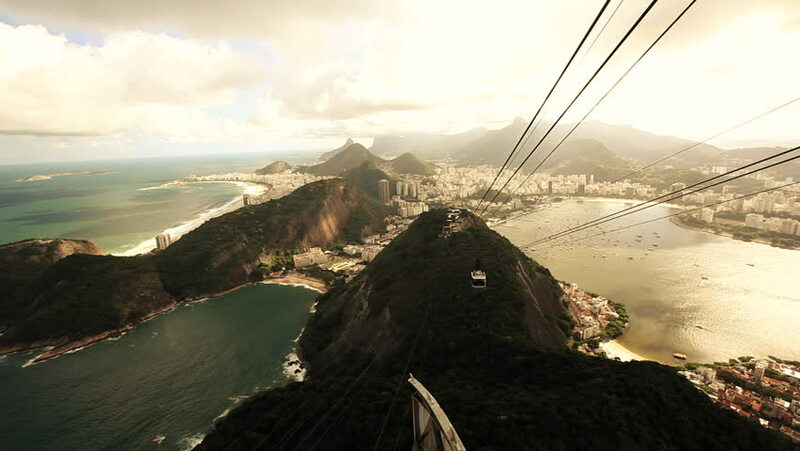 4k00:26Time lapse from Sugarloaf Mountain in Rio de Janeiro at sunset. Beautiful view from Sugarloaf Mountain in Rio de Janeiro at sunset. The cable car passes by. hd00:05Apic aerial shot of man walking suspension bridge to Cross in Crimea. High rocks Ai-Petri of Crimean mountains. Black sea coast city and blue sky with clouds. 4k00:07Traditional Philippine sailing boat, El Nido, Philippines.